If you like traveling (which is probably the case if you’re reading this post), then you’ve come to the right post on Enlighten Travels.com! 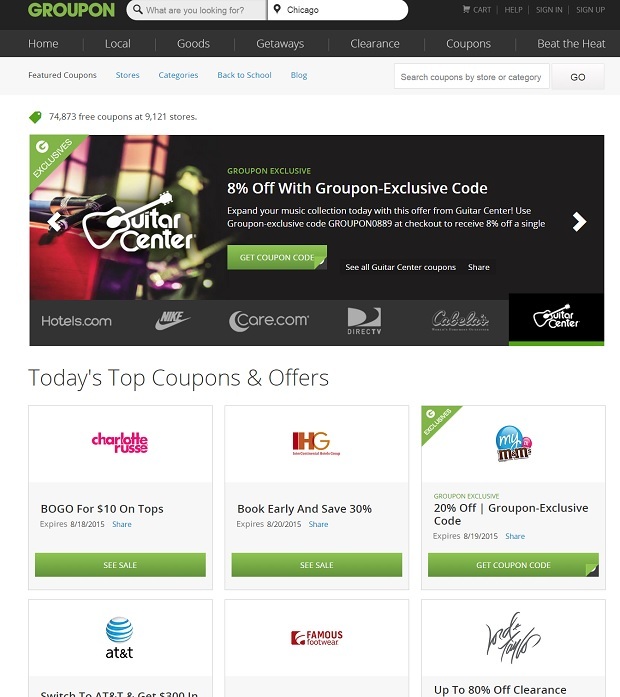 Today, we’re informing you about Groupon Coupons, a great way to save a ton on travel and other purchases with over 70,000 coupons available on their site. There are more than 9,000+ retailers and online stores in the mix that offer money-saving coupons with Groupon Coupons and the most awesome part of it all is that you don’t even have to endure signing up for anything to take advantage of all of the benefits. You can save a lot on travel related costs and expenses from companies like Hertz, Allianz, Travelocity and Expedia, and much more. Check them out today!